No it’s not another novel by J.k. Rowling. In reality, Venice has many fantastic animals just under our noses. It’s not a trick or a ploy: The magic in Venice is real just like the numerous little animals that live in it are whether they’re in the placid canals or in the hidden bell towers. This too is Venice. We’ve already established that Venice is shaped like a fish. Well, actually we could almost convince you Venice is like a cat. Its clever and free like character resembles that of a feline. A docile city that is ready to pounce and claw when needed. The many cats that roam Venice’s alleys and fondamente searching for rays of light to sunbathe in or a comfy spot to pass the afternoon hours. They aren’t stray-cats either; they simply want to enjoy Venice’s beauty before returning to their comfortable apartments where they reside. If you’d like to find an example of one of these cats just visit the legendary Acqua Alta Bookstore. 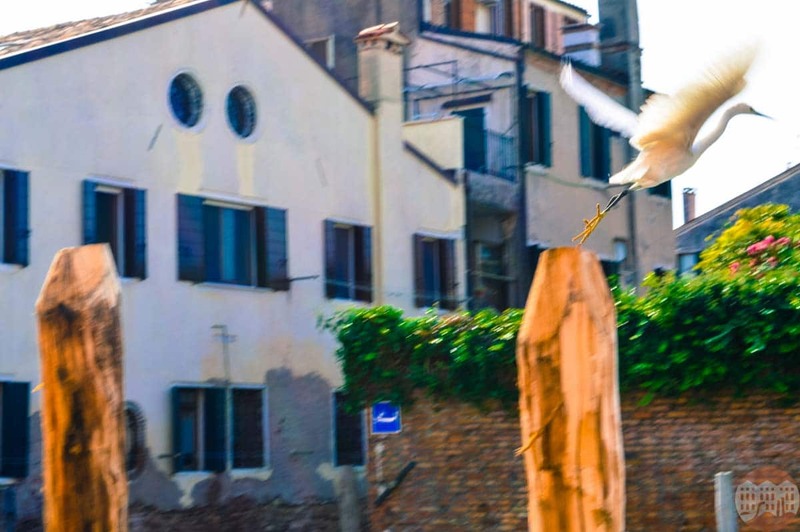 Moving about the less frequented canals, if you’re lucky you’ll run into the many different splendid species of birds that live in Venice and make nests in the city center. It wont be too difficult to spot a Grey Heron taking flight in Sant’Alvise or a Cormorant intent on fishing behind the Arsenale. A marvelous spectacle that is totally in contrast with Venice and the daily tourism that crowds and consumes it. These are just a few examples, but if you plan to take a trip in the different minor islands in the lagoon, you’ll find so many fantastic animals. Just keep your eyes open. where is the Via Garibaldi fountain? i can’t find anything about it in venice, but find search results for rome. Thanks!